Mitsui Fudosan’s first City development at 8-10 Moorgate has been shortlisted for this year’s City of London Building of the Year Award. The Building of the Year Award was inaugurated by the Architects’ Company to support the City Corporation in its quest for world-class buildings in the square mile. Buildings are assessed for a number of factors including quality of architectural design and impact on the city street scene. 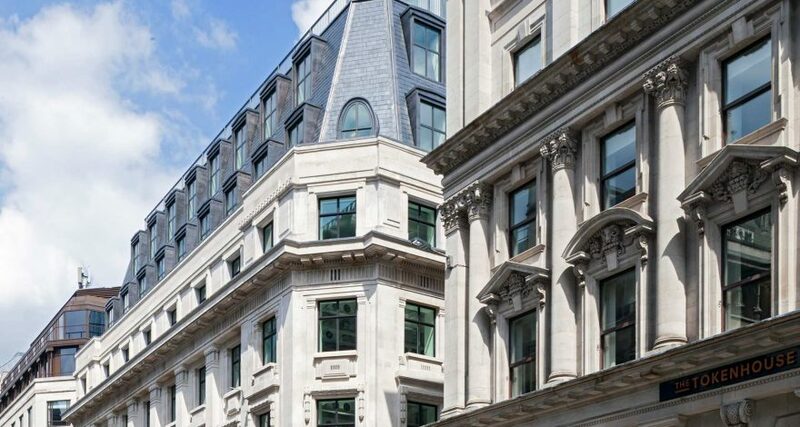 The eight-storey Moorgate building was selected for its architectural design which inserts a brand-new office building between two retained façades. Judges who visited the building described the new elevation at Tokenhouse Yard as “delightful”. Designed by Allies & Morrison, 8-10 Moorgate has already received a BREEAM ‘Excellent’ rating for its sustainable design. Completed in 2014, it offers 130,000 sq ft of premium office space which has been entirely let to ING Bank. The Worshipful Company of Chartered Architects is a modern Livery Company which promotes quality architecture in the City of London and the architectural profession globally.